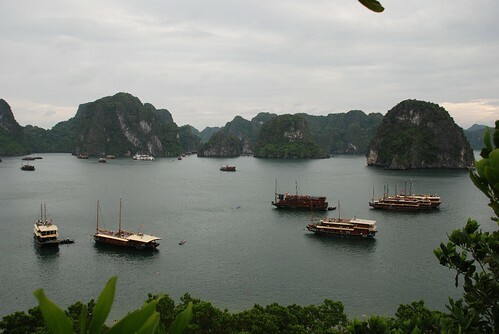 Ha Long Bay is such a beautiful place, a tourist spot visited by everyone who makes it to the north of Viet Nam . Tourism here has created tons of jobs and business opportunities for the locals. The unique landscape which is probably taken for granted by them, is listed as a UNESCO World Heritage Site. I often wonder what it means for Halong Bay to be on this list, if anything. I’ve been reading some of the documents on their website and it states that Halong Bay has “geological and geomorphologic value” and that it “requires protection for all of humanity.” On my latest trip, I’ve been convinced that tourism is having a deep impact on the environment there. Most people visit Halong Bay to see the rock formations and caves as well as to have a relaxing holiday after a year or period of work. 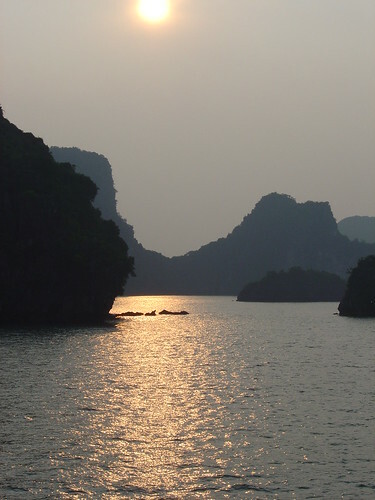 I some times go to Ha Long Bay with friends for one night, two days and just love it. I love kayaking around the beautiful calm water, through the caves, and onto little beaches. It’s awesome but of course, the only way to get out onto the bay is by motorised boat. On my trip recently, I noticed fifty or more boats. Each of them is carrying a dozen or so tourists on most days of the year. 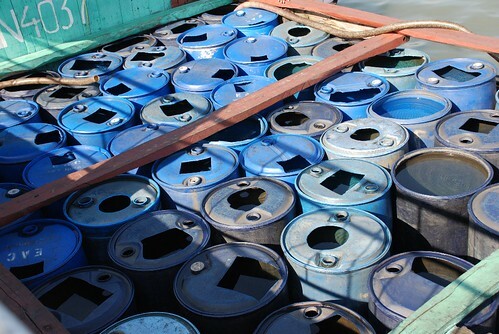 The bay is being polluted by petrol and oil which can be clearly seen on the surface of the water in parts. Nowadays, there are so many tour operators working in Ha Long Bay with the same itineraries, meaning hundreds of people are stopping and travelling through the same waters and caves. I’ve seen people flicking cigarette butts into the water and leave plastic bags and bottles lying around. It makes me sad and angry. The other problem is over-fishing, another industry which provides employment and a livelihood for the families who actually live floating on the water. 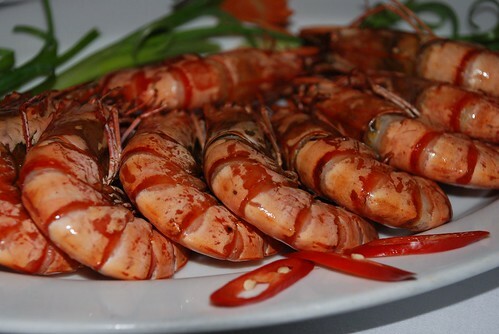 A seafood meal aboard one of the boats is a highlight for visitors, of course. There are lots of problems to solve but the decisions have effects that will be far-reaching. Someone needs to do something about the pollution and the amount of tourism even though it provides work for the local labor force. Tourists numbers rose from 200,000 in 1995 to 1,700,000 in 2002. This year the number is higher. It will only grow more in the future. 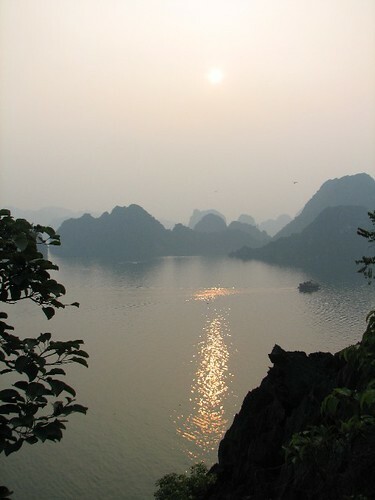 If Halong Bay is still worth visiting. I have fond memories of the Mid Autumn festival. It was such a great time for me when I was a little boy. After class, there was a big car waiting for me in front of my school to pick me up to for the yearly party for kids at my dad's company. 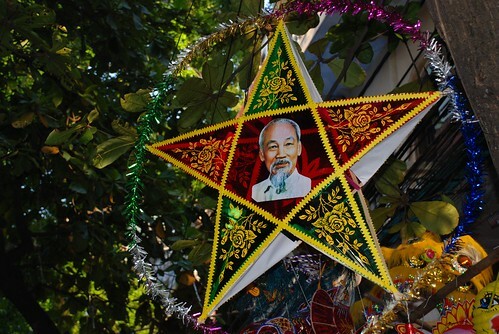 If we studied well then we got some books, notebooks and a beautiful star lantern. It's one of the best parts of my childhood that I remember. About 20 years ago, we celebrated our festival in a very simple way as life was not really as good as it is now. We usually made our own bamboo lanterns of different shapes like stars, long and round or maybe sometimes animal and car shapes. I used to really look forward making and wandering around with our lanterns, singing. At the end, we always stopped at one of the neighborhood houses to have some candy and cake and keep singing together. It was really cool. 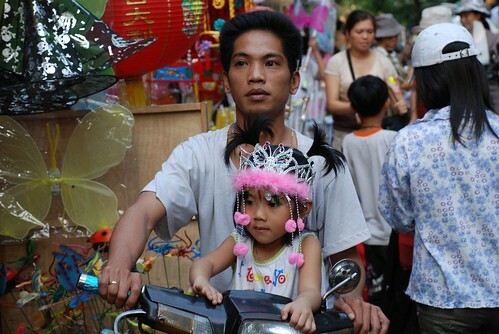 Nowadays, people seem to buy lanterns for their children. There are also all kinds of electrical things with horrible happy birthday songs or some other crazy songs playing when they're turned on. 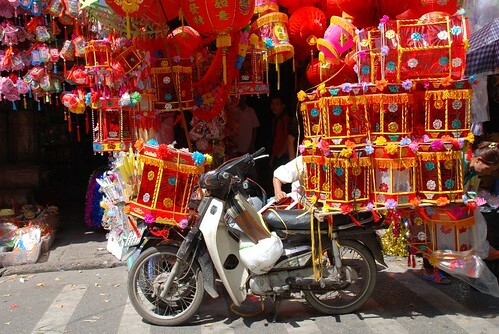 In the past, some families did buy lanterns for their children but the percentage was not very high. Also at that time we had to use candles to light the lanterns and we have to re-light them many many times if it was a windy night. 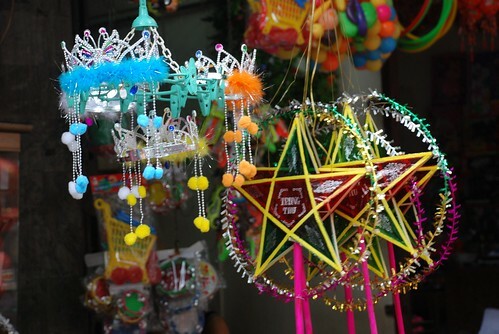 This was also a part of the fun and kids used to tease each other about how good their lanterns were. This time of year is a very good time to go to the old quarter to take photos of moon cake shops and lantern shops particularly in the evening, if you can stand the crowds. The old quarter is always packed in the days leading up to the festival because everyone takes their kids out for shopping and having a good time. When talking about Hanoi, people think about food, particularly noodle soup, but they forget about the amazing flowers in Hanoi. 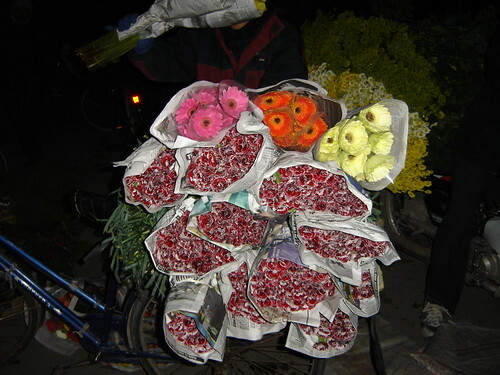 I've been in love with Quang Ba flower market right since the first time I went there with my friends who lived nearby. 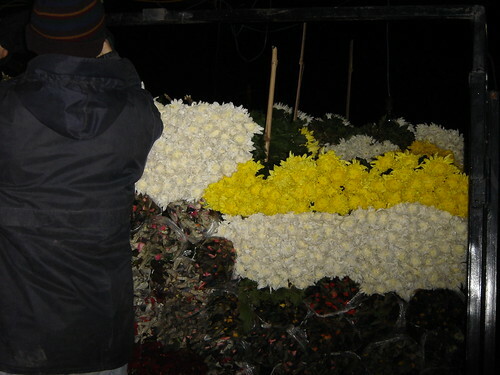 This is the wholesale flower market which operates from 12am to 6am the next day. There are hundreds of growers around Hanoi coming here to trade flowers, selling to florists in the city and street sellers, the rest to couples and people like me who love flowers. The best time to visit the market is from 1 am because that's the time the growers bring their flowers by motorbikes and trucks. They display their flowers on the ground and on the back of their motorbikes. The buyers check the flowers by torch and start bargaining. Do you know how much I paid recently for 100 beautiful roses? ONE dollar! Can you believe it? I don't think you do but that's the truth. 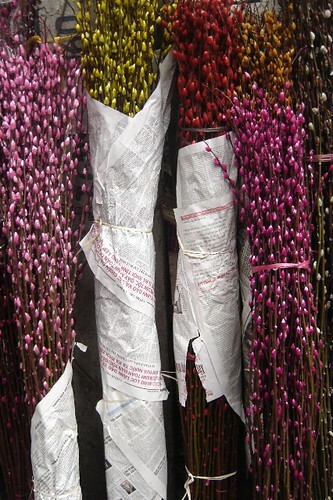 This market is a popular place for couples, to give each other flowers and propose. This is such a good idea for romantics. My western friends and I usually come here to buy flowers for parties and also sit down at the small shop in the middle of the market, talking and having a drink with the locals who are really friendly. Most of them are men from rural areas around Hanoi who transport flowers from their villages up to Quang Ba for their family business. 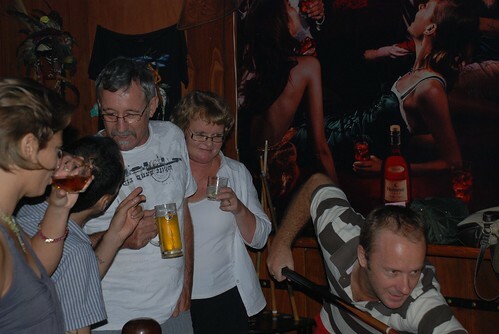 We went to Seventeen Saloon in Hanoi in Tran Hung Dao street a few weeks ago and I think this is the worst bar I've ever been to. I went to Seventeen Saloon bar in Saigon last year and it's fine but their brand in Hanoi is so bad. The music is bad imitations of old pop songs from the west and so loud you can hardly hear what each other is saying. The staff were really pushy and the prices way out expensive for very small drinks. We had to wait for almost 30 minutes for our drinks which ended up being the wrong order and that meant we had to wait for another 15 minutes for them to come back. We played pool and I took heaps of photos of our friends drinking and being silly. I think that was the best part of the night and we left at about 12 as the waitress arrived with the outrageous bills. When we left, to make the experience even worse, the parking attendants tried to make us pay for watching our motorbikes. Unbelievable! 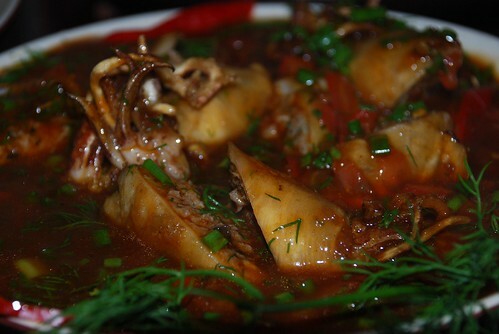 Highway 4 Restaurant is one of the popular mid- class restaurants for expats in Hanoi. I've been there several times with my friends and I was impressed the first two times. The third time I wasn't happy because the food and the service was missing something at the Highway 4 in Hang Tre street. I went there a few weeks ago with some friends and we had trouble getting menus. The staff gave us 2 menus, and I asked her for one more so that we could choose our food quicker and easier than having to pass the menu around many times. The waitress told me that they had three floors here and couldn't waste so many menus at our table. After 5 minutes, she came back and wanted to take our menus even though we hadn't ordered. She was incredibly rude to me and I wondered if she would ever be so rude to a foreigner. I also wondered why a successful restaurant wouldn't just print a few more menus. It is not expensive in Hanoi to get printing done. Finally, we ordered our dinner and, after the menu problem, I wasn't surprised when our main courses - mixed vegetable, squid and chicken dishes - came first. 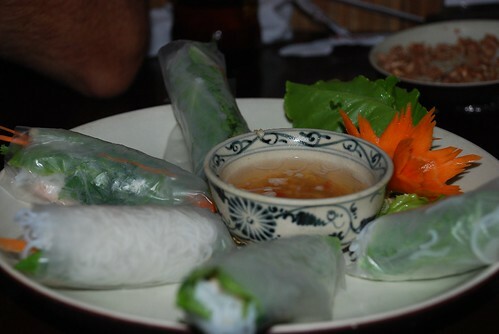 As we finished our main courses, the spring roll and salad starters arrived. It wasn't my night. But then the beers we ordered weren't cold and it all became a bit much to put up with. This is normally a fun restaurant where the food and service is great. I'm not sure what's going on there but I think my last visit will stay in my memory for a while and I would think a long time before recommending Highway Four again. It's taken such a long time for me to post any food recipes from my last work place even though I'd saved lots of them draft form. 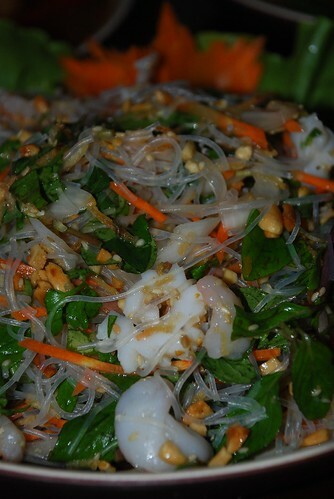 I will restart sharing food recipes with everyone and hope you guys can make it at home as good as in the restaurant. 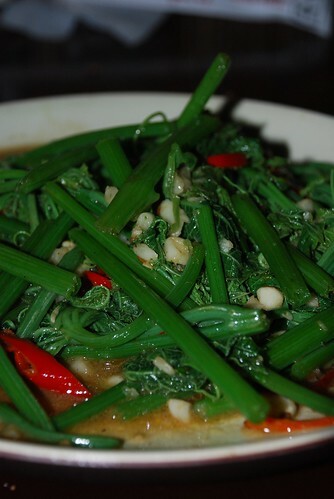 Today I want to share one of the most popular northern sweet dishes which is called young sticky rice “Che”. 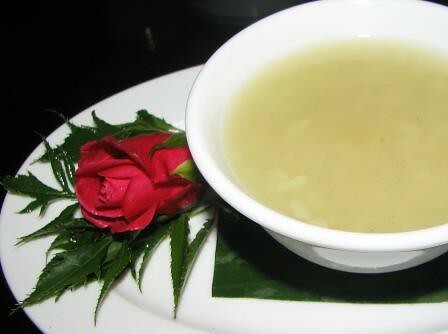 "Che" in Vietnamese means tea but in English it's like a sweet consomme. 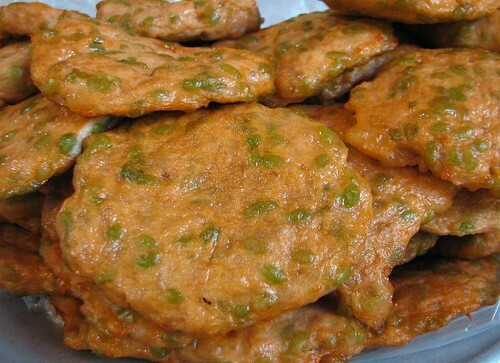 People also use young sticky rice to make cakes and candy, to eat fresh or stir fried with seafood or meat as a main dish or mixed with flour to make a deep fried cake which is also really popular in Hanoi. Anyway, here is the recipe and hope you can follow it. Put 500 ml of water into a pot; bring it to the boil then put dry young sticky rice in; simmer until dry young sticky rice is soft. Add sugar then stir lightly until sugar turns into liquid. Put starch in and stir until the mixture is thick. Turn off the gas and sprinkle vanilla on, then mix thoroughly. This is such a great sweet for the winter because it's served hot, but you also can eat it with ice in hot weather. 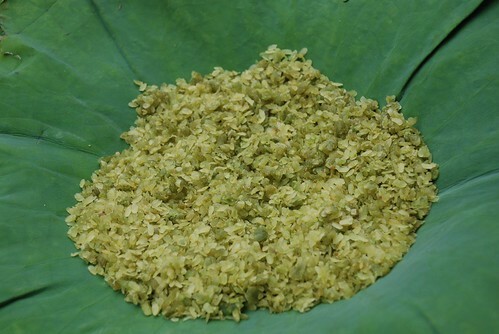 I prefer to eat it when it's hot then you can smell the great flavour from the young sticky rice. Enjoy! After a long morning filming with Tom and Rob, the boat stopped at Ti Top island for us to climb up the hill for the an amazing view of Ha Long Bay. Even though it had started raining, we decided to stop nearby the island for swimming. We swam for a while and the rain was getting heavier and heavier but we wanted to go kayaking. We were the only four people kayaking in the whole wide area under the heavy rain, thunder and lightning. It was really scary for me at the beginning but the others were so excited. We returned to the boat after 30 minutes paddling around before the two tour guides told us that they wanted to show us some amazing caves that not many people go through. We kayaked behind them for about 20 minutes to two really deep and low caves with tiny entrances that you have to lay in the boat to get into. Bats were flying around and luckily the guides gave us the torches so we could see. We were scared but we wanted to go through and we did. We missed the last cave because too many bats were flying around and Tom was a bit nervous. When I'm at home and I hear a storm I always close the doors and sit inside. But I loved swimming in the rain, seeing the lightning and hearing the thunder right on top of my head. 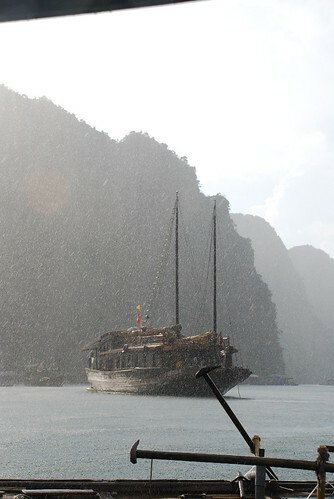 Kayaking on Halong Bay is a great experience.